Compare all the latest deals from Frontier Communications, HughesNet, Viasat Internet (formerly Exede) and 1 other providers in 86535. Based on 18249 verified users. If you’re trying find an Internet or television service company, you want to be aware of all the choices that are accessible to you within your zip code. Picking an internet service provider that's worth the price is a challenging decision, especially with so many different deals to look into. For this reason, Providers By Zip has made it our job to make shopping for Internet service much easier. Instead of having to conduct your own research into what providers are available in 86535, our team has already done the hard work and sorted through the providers that have services and deals to offer. Here, you are able to view the range of nationwide service providers in 86535. The results make it easy to find the best internet and television company in 86535. 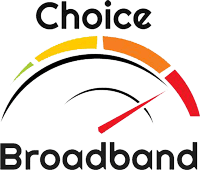 The broadband deal comparison table allows you to sort all companies accessible in 86535 and filter them based on reviews and price. By evaluating Internet companies in 86535, you can get the right internet deal for you without the high cost. 86535 is located near to 86033, 86514 and 86545.